Sorry for double post, but my neighbour just brought the box with these things over! The UPS guy saw me over there the other day, and figured when I didn't answer the door here, he'd leave it over there for me, since it's wet and snowy. So thank you very much for the Tinkyada tri-colour pasta spirals and the Mighty Tasty Hot Cereal! 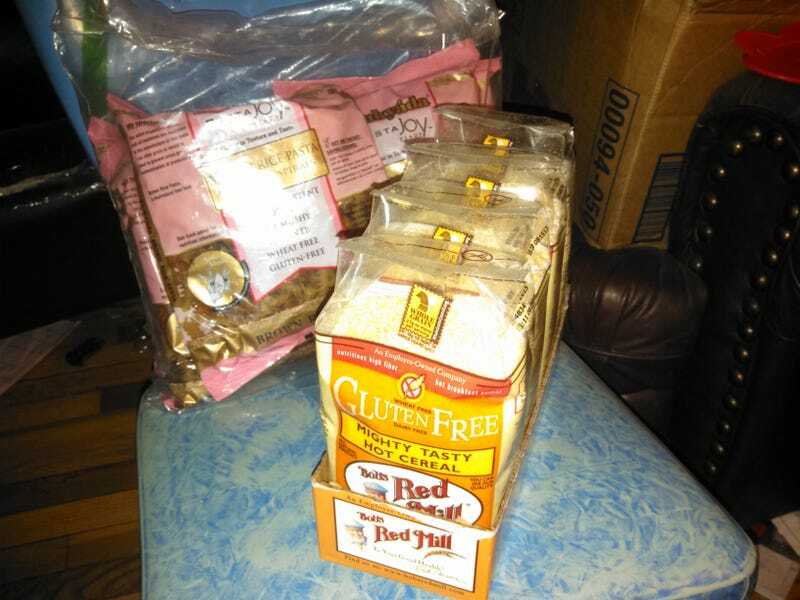 I will be trying out a cold pasta salad with the pasta, and the hot cereal is wonderful in winter. I add cinnamon, brown sugar, and applesauce and it is yummmm. My kids even eat it cold! Or I fry spoonfuls of it for a quick treat. So many options! Thank you!